Why we are focusing on our online web store? Last year we decided to put a more focus to our on line web store. Some people asked me why. I thought that’s an interesting thought. We have a huge showroom filled with over 500 samples. We have production staff that operates out of a 10,000 square foot warehouse producing marketing products, t-shirt screen printing, and promotional apparel for pick up and online shopping. Why focus more on our on line store? with or without ever setting foot inside our store. You can do exactly the same thing on line as you would if you were to come see us in person. 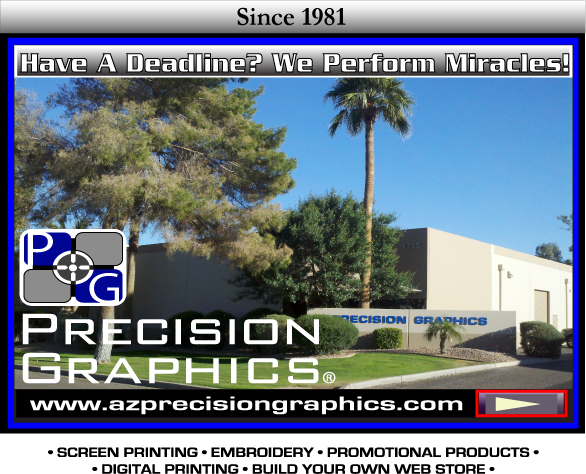 So, I ask myself again, why not shop on line for promotional products from Precision Graphics? It’s safe, easy to use and open 24 hours a day, seven days a week.